The Smart Grid will allow people to manage energy consumption with smart meters, but carries all the risks of a large government IT project. Government plans to give businesses and consumers the ability to better understand and reduce their energy consumption with smart meters has put another large IT project on the national conscience. The GB Smart Metering Implementation Programme (GB SMIP) is estimated to cost £11.7bn and the IT that underpins it is set to be one of its biggest challenges. But the prospect of keeping GB SMIP’s project costs in estimate is already being doubted. The consequences of escalating costs on large government projects are well known. Loss of public confidence eventually reduces political support, which can spell the end of a project, regardless of its promise. According to the Public Accounts Committee (PAC), the smart meter scheme is another huge project with major challenges to overcome, including its IT requirement. In July last year the PAC said the government's track record on delivering large programmes had been patchy at best. The idea for the smart metering project is that millions of intelligent energy meters in homes and businesses will collect information on usage and send all the data to a central hub. Here, the data is processed and sent to energy suppliers. The SMIP requires major IT investments, with a need for smart meters, smart communicating sensors, modules, advanced communications networks, as well as technologies to secure data to and from the smart meter. The Department of Energy and Climate Change (DECC) is to set up a company comprising the hub that will manage the data that smart meters send and receive, which will require services from IT and communication suppliers. "Communication of data to and from smart meters in the domestic sector will be managed centrally by a new, GB-wide function covering both the electricity and gas sectors," said the DECC. The DECC has already begun procurement for the new function, known as the central data and communications company (DCC). "In advance of the appointment of the DCC, it is intended that DECC would initiate the process for procurement of the data and communication services that will be contracted to DCC," said a DECC notice. It wants suppliers for a wide area network, telephone and data transmission services, data transmission services and IT services - including consulting, software development, internet and support. The DECC has also called on IT suppliers to build the data and communications infrastructure on which to send data between the smart meter in the home, businesses and the DCC. The deal could be worth up to £4.5bn. Meanwhile the government seeks a single supplier to provide IT services to the DCC for up to nine years, through a contract worth up to £240m. The services are: systems integration and implementation; software development, integration, testing and integration with communications systems; IT hosting - including the provision of datacentres and computer servers on a managed service basis; and the support and maintenance of the software once implemented. Hodge at the PAC emphasises the importance of getting the IT right. She said the government’s oft-tarnished record on large IT projects might actually help the smart meter project, through experience. There are plenty of examples of large government IT projects to learn from and none higher profile than the NHS National Project for IT (NPfIT). Like the NHS NPfIT, the smart meter project relies heavily on suppliers. This can be problematic in a very large project susceptible to changes and difficult to accurately define, as costs can go up if the scope changes. The NHS NPfIT, for instance, was initially estimated to cost about £2.3bn over three years, but later extended to £12.4bn over 10 years. Commentators have said it would probably have cost £20bn to complete. The PAC says DECC must address uncertainties by conducting proper trials. These smart meter pilot schemes should identify and manage the risks associated with an IT project of such cost, financed by consumers. "There are obvious risks in implementing such a large IT project which cannot be ignored. They include the practical difficulties of procuring and installing the data communications service and the security of the information held. The PAC was constantly concerned with the NHS NPfIT from its announcement in 2006, right up to its scrapping in 2011. Robert Morgan, director at sourcing consultancy Burnt-Oak Partners, has in the past applied his IT outsource expertise to a project to virtualise the Department for Environment, Food and Rural Affairs (DEFRA). He has repositioned major IT outsourcing deals at large organisations including Rolls Royce, Bombardier Transportation and the Department of Work and Pensions (DWP). He says the network communications element of the project is critical and believes project managers can only hope to reduce overruns on the smart meter project, rather than prevent them outright. “Will the project overrun? Yes. Could overruns be avoided? Yes,” he says. “Huge care in defining the service and its attributes, early functionality and performance expectations, controls over later development of new functionality to be professionally handled (external scrutiny and audit), politicians to stay out of it and, just maybe, overruns can be dramatically slowed down or eliminated. If the smart metering project starts to see increasing costs, support from consumers – those it promises to benefit – will decrease rapidly. There is already substantial uncertainty around what benefits it will deliver to consumers fatigued by constant increases in energy costs, according to a recent survey carried out by the Economist Intelligence unit for smart meter technology provider T-Systems. The survey of 1,000 consumers' view of the smart meter project revealed fears of initial price rises and a lack of evidence on future savings associated with the government's plans for smart meters. The government estimates the smart metering programme will result in an increase in annual domestic energy and gas bills of £6 by 2015, for the average dual-fuel customer. But by 2020 it will deliver a net annual saving of £23. The survey revealed antipathy towards the government's plans to roll out smart meters to 30 million homes by 2020. Consumers are more concerned about the financial costs of using smart meters than the environmental costs of inefficient energy use. The public fears smart metering will merely increase the cost of energy, rather than allow them to cut bills through more efficient energy use. Unless consumers and businesses have smart appliances to go with their smart meters, they will fail to benefit fully. For instance, to take advantage of a smart meter, which tells you when you consume the most energy and why this costs so much, you need smart appliances that are able to be programmed to turn on automatically when energy is at its cheapest. As a result, for consumers to get the benefits there has to be investment made in homes and business premises. Likewise energy suppliers need to invest in technology to get any advantage out of smart metering. “Utilities have been piloting and testing smart infrastructures for quite some time,” says Bastian Fischer, vice-president of industry strategy at Oracle’s utilities division. Fischer says infrastructure and communications are proven technologies, but utilities have to make sense of the information coming in real time and use it for business purposes. This will involve software investments. He says IT suppliers have been developing products to support their utility customers. 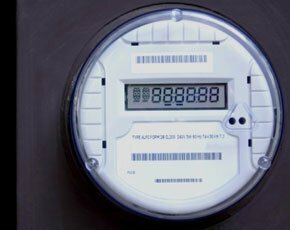 Oracle projects include one in the Italian capital Rome, which involves 1.8 million smart meters and another in the US where the software supports 7 million smart meters. Utility companies traditionally analyse data in batches but will be able to do it in real time. This will help utilities understand where energy is used and help them distribute it more effectively. As with any large IT project today that generates masses of data, which is then moved from pillar to post, there is a major security challenge. Government plans to create a smart grid for energy networks will require a coordinated focus on cyber security as communication networks play a key role, according to a report from The Energy Networks Association (ENA). The ENA published the report for the DECC. The findings of the research, which was carried out by consultancy KEMA, revealed that the government and network providers need a more "coherent and joined-up approach" to secure the smart grid. The report outlines how the smart grid will affect networks and describes how cyber security should be an important consideration when developing the smart grid's architecture, technology and management systems. For example, the report says: "ICT security, along with computing system reliability, safety and maintainability, are critical attributes for smart grid implementation and operation, and need to be considered as part of overall risk management for this critical national infrastructure." Patient privacy is one of the biggest concerns related to the NHS NPfIT’s plan to have the medical records of all people available electronically on the Summary Care Records system. The NHS NPfIT was a high profile project, which, like the smart metering project, touches many interested parties, including the general public. With government, patients, clinicians and multiple healthcare providers all impacted by the project, reaching consensus was never going to be easy. The SMIP will similarly give government, businesses, citizens, energy suppliers and environmental agencies a vested interest which risks being dragged in different directions and its success being measured in different ways. The IT sector is attempting to help resolve conflicts before they happen with the launch of cross-industry organisation known as SmartGrid GB, which brings together stakeholders. IT industry body Intellect is behind the SmartGrid GB smart metering project, which will bring together IT companies, environmental organisations, government, regulators and consumer groups. SmartGrid GB will coordinate the multiple stakeholders and advise the government. A good idea can quickly turn bad if it loses support and gains costs. Few can argue with the rationale behind a project that sets out to give businesses and consumers more control over the energy they use. But you would have thought that few could have argued against the NHS NPfIT, which set out to improve customer care and save money in the NHS through IT. But problems and rising costs ensured growing antipathy before the project was finally shelved. Its sheer size and complexity wasted tax payers’ money and a lack of stakeholder support were some of the causes that led the centralised NHS NPfIT to eventually be dropped and replaced. beware of the elec. bills now!!.. the cost will end up in there.